In addition to offering better speeds and connectivity, 5G networks will help first responders save lives. 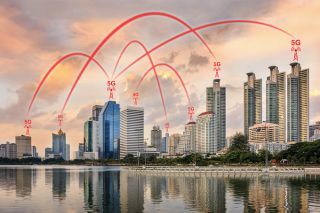 5G networks will see rates of up to 10 times faster than current 4G networks while having the capacity to connect trillions of objects. This degree of connectivity will prove to be economic game changers for every nation, supporting widespread adoption of emerging applications such as autonomous vehicles, augmented reality, smart cities, and the Internet of Things (IoT).